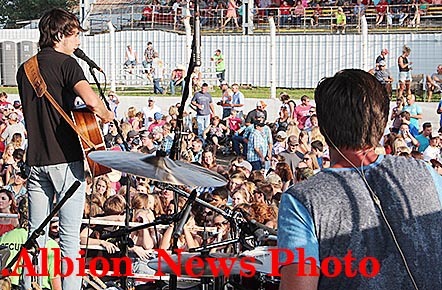 Boone County Fair opened Saturday, July 9, with the biggest crowd it has seen in many years for a country music concert. Entertainers Jon Pardi and Mo Pitney attracted an estimated 3,500 people for Saturday evening's grandstand show. 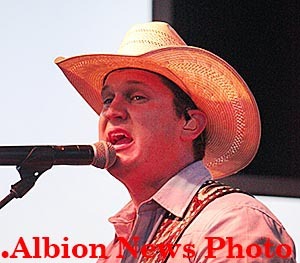 Jon Pardi at the Boone County Fair. Entertainers Jon Pardi and Mo Pitney attracted an estimated 3,500 people for Saturday evening’s grandstand show. 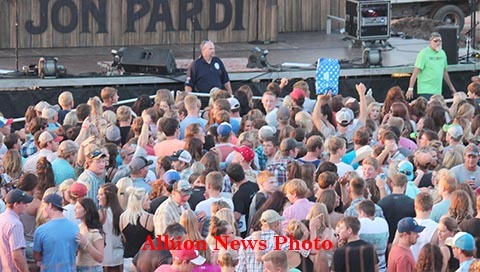 Fair officials said they felt fortunate to have booked Pardi and Pitney late last year, as they were rising stars on the country music scene. Pardi’s album, California Sunrise, debuted at number one on the country music charts, and Pardi played many selections from the hit album during the show. Fans traveled from as far away as Illinois and Canada to attend the show, and they weren’t disappointed. As a bonus after the concert, country fans were treated to a dance under the grandstand, with music by the Emmet Bower Band. 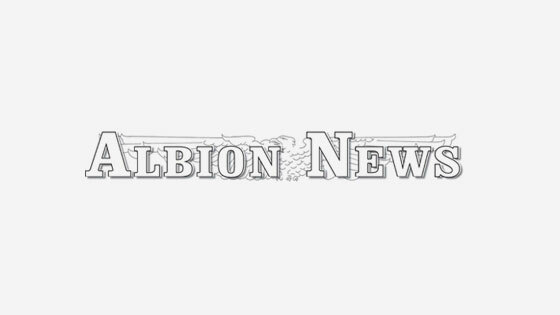 Saturday was opening day of the fair, with the 4-H Horse Show held in the fairgrounds arena, the “King of the Ring” and Backyard Barbecue Cookoff with 11 teams competing, the Seamann’s Petting Zoo and various traveling exhibits. Sunday morning began with the traditional community church service in the grandstand, followed by coronation of the 4-H King & Queen and the antique tractor display. 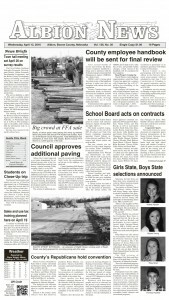 The big fair parade began at 1:30 p.m. and featured many new entries this year. 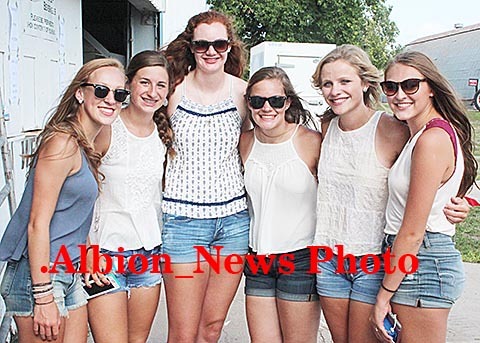 Watch for complete results of the Boone County Fair in this week’s Albion News. These six girls from the Clearwater and Orchard area, l-r, R: Allison Kerkman, Katie Stearns, Alexis Pokorny, Julia Thiele, Mallory Cooper and Peyton Clifton, arrived 3 1/2 hours early and were first in line for the concert. Mo Pitney entertains in front of the VIP section. Part of the crowd awaiting Jon Pardi’s arrival on stage.